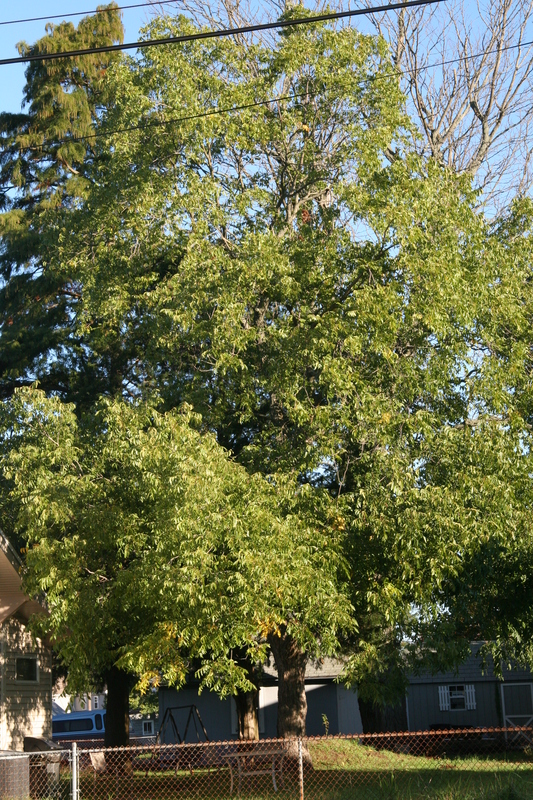 Honeylocust is a fast-growing tree that tolerates poor soil conditions and is useful for establishing shade trees in new housing developments or parks. 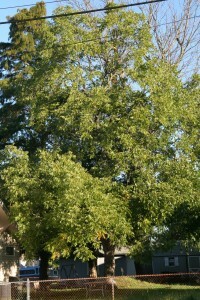 The fruit of the honeylocust is a flat legume (pod) that matures in early autumn. The pulp on the inside of its pods is edible, unlike the black locust, which is toxic. Honeylocusts produce a high quality, rot-resistant wood that polishes well, but the tree rarely grows in numbers to support its widespread use. Honeylocust branches often have distinct thorns. The pinnately compound (older trees) or bipinnately compound leaves (younger trees) turn a brilliant yellow color in the autumn.